The perfect gift experience in Liverpool. Enjoy a delicious 3 course meal at a carefully selected restaurant, followed by an overnight stay in a 1 bedroom serviced apartment. Meal choices: Sapporo Teppanyaki, The Club House or Il Forno. 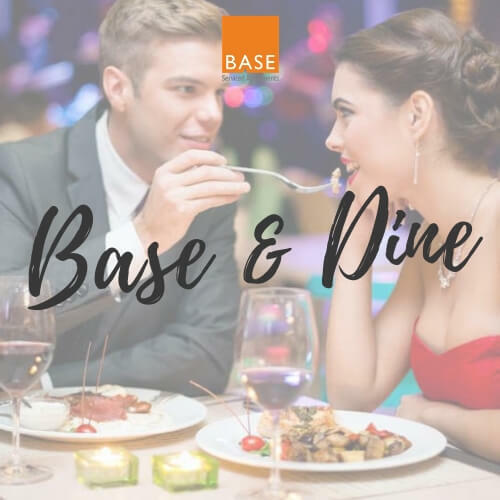 Base & Dine is valid to be redeemed against a 1 bedroom serviced apartment in Liverpool. Valid Sunday - Thursday, excluding bank holidays and special events. Vouchers are valid for one year from the date of purchase. The voucher features a unique reference ID code, may only be redeemed once, may not be exchanged for cash, replaced if lost and is non-transferable. Pre-booking is essential, please quote the gift voucher ID reference when making a reservation. Subject to availability. Base operate an over 25 age policy. Terms & Conditions subject to change. 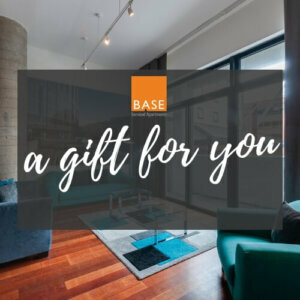 Full terms and conditions for BASE can be found here.